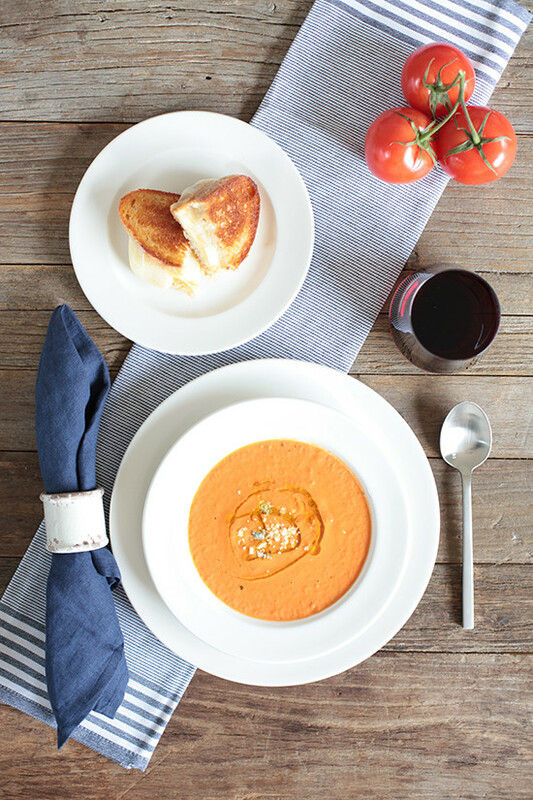 One of our favorite wintertime meals is a tomato basil soup paired with a crusty grill cheese sandwich. Now, we all know how to make a grilled cheese - but, do you know how to make the best tomato basil soup in the world? Well ... you're in luck because today we're going to show you how. Of course, you are going to need all the ingredients as well as a few everyday kitchen items to prepare the soup. You will also require some pretty dinnerware to serve it up in style. Don't worry, we have you covered. 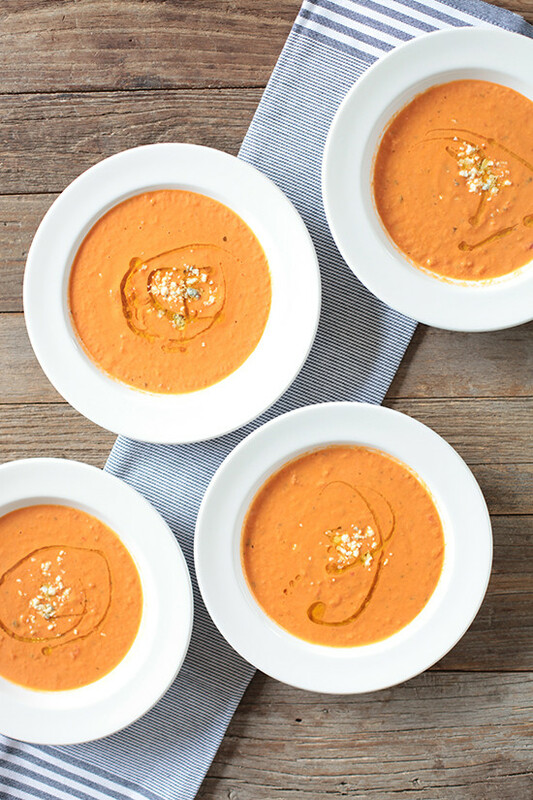 We'll show you everything you'll need to add to your William Sonoma Wedding Registry, so you can prepare and serve this delicious tomato basil soup. 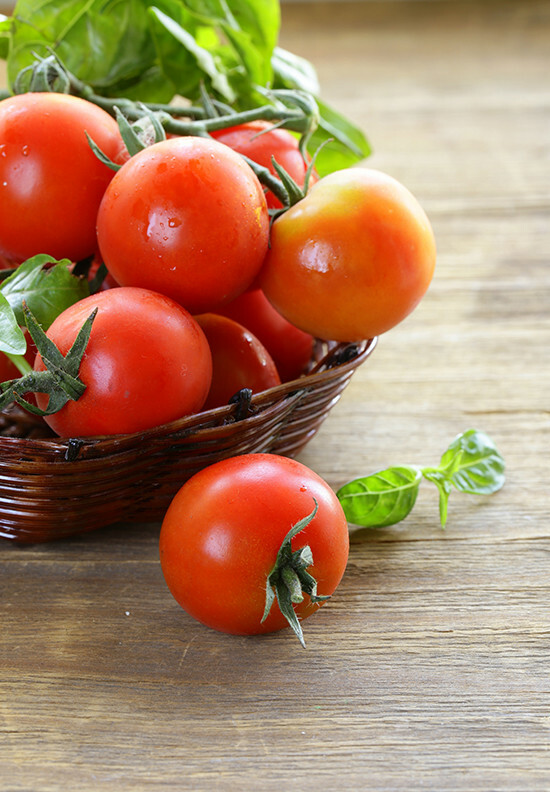 Scroll down for the items to add your registry, a complete shopping list and the recipe. If you want to make this soup or any soup for that matter, you are going to need to have the following items listed below. Of course, these kitchen necessities are not only for soup and can be used for almost everything that you prepare in the kitchen. 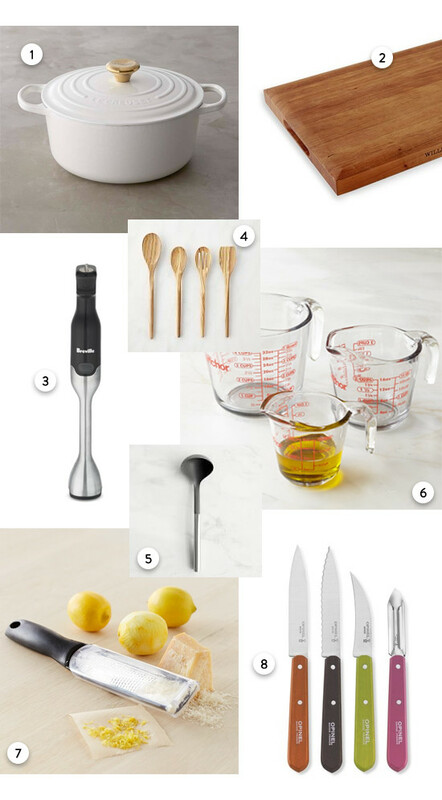 Set yourself up for success and add these items to your William Sonoma Wedding Registry. 1. 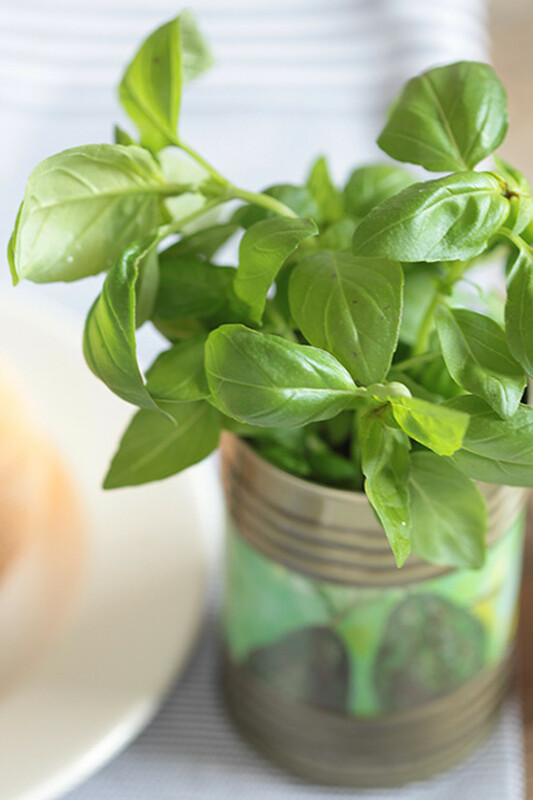 In a large, heavy saucepan, heat the olive oil over medium-high heat until shimmering. Add carrots and onion and cook until beginning to soften, 10 minutes, then add basil and cook until vegetables are completely soft, about 5 minutes more. 2. Add tomatoes and broth, bring to a boil, then reduce heat and simmer 20-30 minutes, or up to 45 minutes if time permits. 3. After allowing soup to cool somewhat, purée in a blender/food processor or use your immersion blender until smooth, doing so in batches if necessary. For a much silkier texture, strain the purée before returning to the pot. 4. Stir in cream little by little over over low heat, until desired texture is reached and soup is just heated through. Season to taste with salt and pepper, and serve warm. 5. Top with a pinch of Gorgonzola Cheese and a drizzle of olive oil. Besides the spoons and the immersion blender, you are going to need something in which to serve your tasty soup. 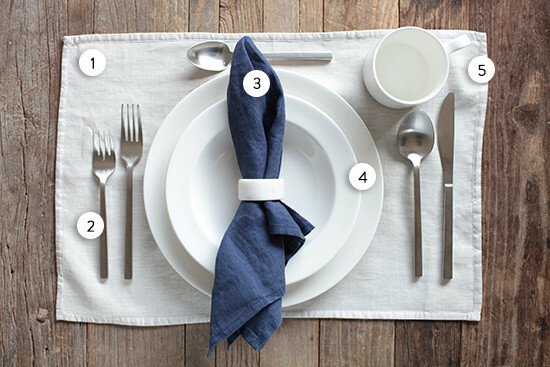 Below is everything you need to properly serve your guests from Fortessa. Feel good about adding Fortessa products to your William Sonoma Wedding Registry because Fortessa guarantees the durability of its dinnerware with a 10-year warranty against chipping for registered products. Yes, you read that correctly 10 year guarantee. 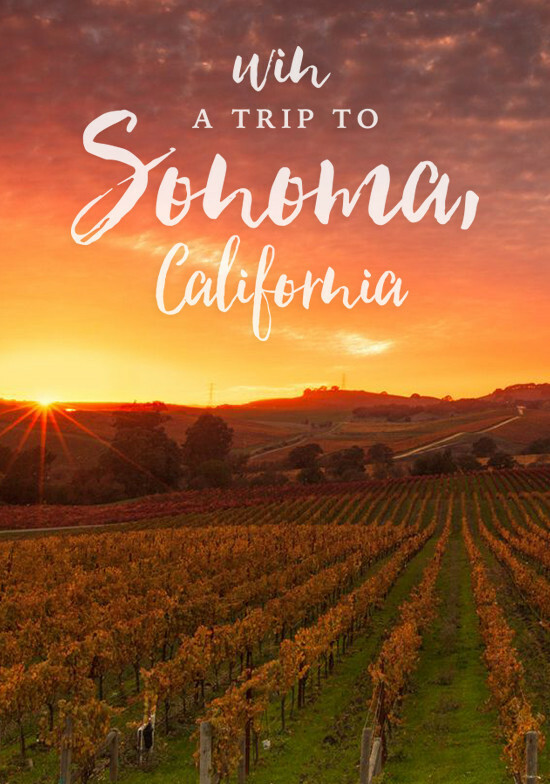 2 dinners at some of Sonoma’s finest restaurants Brought to you by Williams-Sonoma, The Fairmont and Fortessa. Click HERE TO WIN before January 31, 2016 * This is a sponsored conversation written by The Wedding Chicks on behalf of Fortessa. The opinions and images are all ours. However, the recipe is from Serious Eats.